Hotel Monteleone strives to offer our guests everything they could possibly need. We provide complimentary Wi-Fi up to 2M, then it’s $5.95 – Ultimate up to 20M in guest rooms, a full service business center, meeting space, VIP concierge, and on-site valet parking. For business travel to New Orleans, we provide Wi-Fi and high-speed Internet access, a full service business center, meeting space, and parking. Relax after work with our state-of-the-art rooftop fitness center and heated pool with breathtaking views of the downtown New Orleans skyline, and full-service day spa, Spa Aria. Experience the best in New Orleans dining with our Criollo Restaurant, or visit the historic Carousel Bar & Lounge, which was voted one of the top 20 bars in the world by Vogue Australia. Traveling with your furry friends? We have you covered with our pet-friendly hotel and amenities. Hotel Monteleone has a historic feel.  It is the premiere choice for French Quarter visitors looking for a luxury hotel experience in downtown New Orleans during their vacation or business trip to the Crescent City. Hotel Monteleone also offers amenities for purchase, to enhance a friend or family member’s stay at the hotel. Take a look and make your selection. Our New Orleans luxury hotel amenities aren’t just for humans — Hotel Monteleone is pleased to offer pet-friendly hotel packages to pamper your favorite four-legged friends, too. This pet-friendly hotel is one of the few New Orleans luxury hotels in Louisiana that offers services for pets. “Monte’s Pet Package” includes a mat with water and food bowls, a bag of treats, and a pet-friendly brochure filled with places in the city where your pets are welcome. Upon check-in, guests who have a pet must sign a pet application that outlines specific rules and fees that are charged (a $100 non-refundable cleaning fee and a $25 per night “pet rate”). Hotel Monteleone owns and operates two convenient, 24-hour valet parking facilities for our guests. One is located on the property, and the other is off-site, one block from the hotel. Either way, when you come to stay, simply take Chartres Street into the French Quarter, then take a left on Bienville Street. Turn on Royal Street and our valet will be at the front of the hotel ready to take your car. The rates are $40 plus tax for regular-size vehicles, per day. Rates are subject to change without notice. Pool Hours: 6:00 a.m. – 10:00 p.m.
Acqua Bella Hours: 11:00 a.m. – 7:00 p.m.
A cozy retreat tucked within our exquisite New Orleans luxury hotel, Spa Aria transcends relaxation. The spa envelops you like the warmth of a summer evening in New Orleans. From the soft glow of candles to the infusion of fragrance, Spa Aria transports you to a place of repose. Whether it’s your head, your toes, or your entire body that needs soothing, our gifted staff will guide each guest through a satisfying journey. Using intuitive hands and world-renowned products from Pevonia, our pampering is certain to ease the most exhausted souls. Eight revolutionary products are used to exfoliate, hydrate, and leave feet smooth and silky. These eight integrated steps transform travel weary feet into beautiful, happy feet in just one hour. Enhanced through the relaxing application of the finest botanical products available, this hand treatment creates an immediately visible radiance. Meticulous attention to detail will assure optimal results whatever the length and condition of the nails. A time-honored favorite. Swedish technique is combined with pressure point work to help ease fatigue and invigorate the body. Whether you are seeking deep tissue, sport massage, or peacefully nurturing massage, our knowledgeable staff can customize a massage to fit your every need. The therapeutic benefits of this ancient Chinese practice reach far beyond hands and feet, detoxifying and balancing the entire body. We take foot therapy beyond traditional forms to make it a truly relaxing experience. When time is of the essence, get all the aesthetics of our nail treatments in half the time. When you stay with us, enjoy complimentary access to thousands of newspapers and magazines. 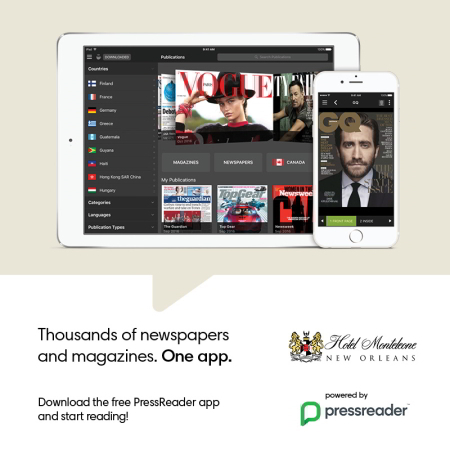 Connect to our Wi-Fi and download the free PressReader app to start reading. Whether you are traveling for business or pleasure, our business center has everything you need, conveniently located on the 2nd floor. We offer free Wi-Fi, computers, and printers for your convenience. We also offer complimentary boarding pass printing. Available 24/7 using room key. Our rooftop Fitness Center offers panoramic views of both the Mississippi River and the French Quarter. Our cutting-edge exercise facility is on-premises and available 24/7 with room key access. Our New Orleans luxury hotel makes it easy for our visitors to keep fit and relieve stress during their stay. Visitors can work out on the Techno-Gym, state-of-the-art, equipment catering to a variety of fitness needs. The 24-hour Fitness Center is provided for the exclusive use of hotel guests, including full cardio machines and gym equipment. Chilled water and complimentary fruit provide a source of hydration and a nutritious snack. Enjoy complimentary yoga in partnership with lululemon on the Hotel Monteleone pool deck. This gentle vinyasa-style class will leave you refreshed and ready to take on the day. Please reserve your spot with the concierge. Mats will be provided. For your workout gear needs, lululemon is located in Canal Place at 333 Canal Street, a short five-minute walk from the hotel. Ingrid Guivar has been practicing yoga for over 5 years. Her daily practice has challenged her to grow both physically and mentally, which has contributed to her living a confident life both on and off the mat. Ingrid completed her first 200-hour Yoga Teacher Training at Pranashama Yoga Institute in Maui, Hawaii. She quickly came to the realization that she had a passion for yoga and the exotic islands of Hawaii. This led to her completing her second 200-hour training in Kauai, Hawaii. Upon returning to New Orleans, Ingrid became passionate about sharing yoga with her community. Through gentle and creative sequencing, Ingrid provides an environment for her students to be playful while exploring the physical and spiritual practice of yoga. She hopes all of her students leave their mat feeling refreshed, nourished and balanced.